There’s been a growing trend in recent years of targeting spirits directly to women. This is not a bad thing, as women are significant drivers in the spirits market and have helped push some major spirit trends, but the risk of marketing spirits specifically to women is that while some women are happy drinking flavored vodkas and skinny cocktails, others are not. A growing percentage of women are much happier with a dram of good whiskey than something pink. Marketers also often overlook the fact that women, on par, have better palates then men and can more readily access flavors in complex spirits as well as detect flaws and poor balance. Finally, when you market a product to half of the buying population, you run the risk of alienating or eliminating the other half of your potential customer base. 2 Gingers Irish Whiskey started as a small independent company, contract distilled at the Kilbeggan Distillery in Ireland. 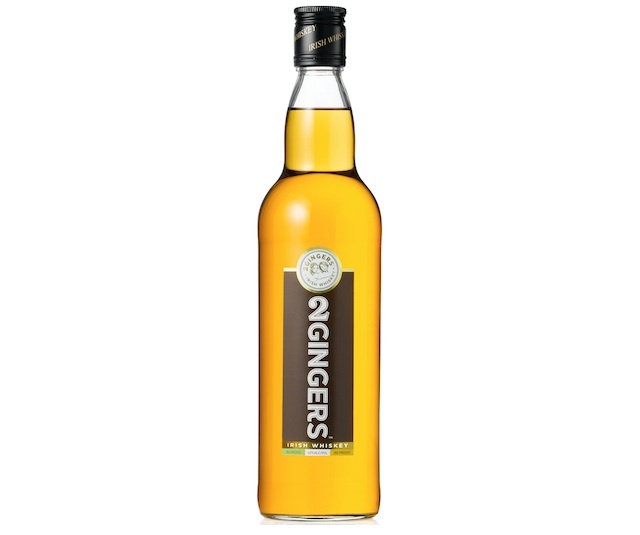 2 Gingers aimed to be a contemporary alternative to the Jameson’s and Bushmills of the world targeted at women. 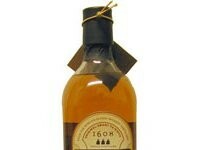 It was a nice story: a small company making a family inspired product at the last independent distillery in Ireland. All that changed in 2011 when the Cooley Distillery/Kilbeggan Distilling Co. was purchased by Jim Beam. After the purchase there was a lot of speculation about what would happen to the brands that relied on Cooley for their contract distilling (including Michael Collins, who ended up suing Beam and 2 Gingers). In 2012 some of that speculation was laid to rest when Jim Beam purchased 2 Gingers, adding them to their growing portfolio of spirits. 2 Gingers Irish Whiskey (80 proof / 40% ABV, $19.99) has an age statement of four years on the back of the bottle. This mandatory aging in order to label a spirit “Irish whiskey” is three years, and so 2 Gingers is just slightly past that. Four year old malt is considered to be fairly young, and, depending on how it was distilled and aged, it can take as long as 10 years to really reach the start of its prime. Golden brown in color, it’s very likely that caramel color has been added to 2 Gingers so that it doesn’t look young and pale. The nose on 2 Gingers is a nice combination of fruits with apple, pear, and lemon combining with apricot and peach. Behind that are some pleasant sweet notes including caramel, vanilla, and honey, backed with a slight ginger spice. The entry for 2 Gingers is light and sweet featuring honey, caramel, malted barley, and green apple. Things transition quickly in the midpalate where 2 Gingers picks up some spice with black pepper, allspice, ginger, and a touch of eucalyptus. From there things get a little tart and acidic with the green apple re-emerging and combining with sour lemon for a fairly acidic and hot finish. The finish is of medium length, dry, and a little hot. The acidity and heat at the end of 2 Gingers is strongly out of balance and fairly unpleasant. From a taste point of view, there’s really nothing about 2 Gingers that would necessarily appeal directly to women. The spirit comes off young and lacks the cohesion of Cooley’s Kilbeggan, and has none of complexity nor flavor of Michael Collins. While the nose is nice and there are some interesting elements in the taste, the finish isn’t representative of the work that can be done by the Kilbeggan Distilling Co. I’ve tasted a lot of products from that distillery, and 2 Gingers is by far the least artful and poorly crafted. One of my big gripes about 2 Gingers, aside from the highly acidic finish, is that it still claims on the back of the bottle to come “from the last independent distillery in Ireland.” While this may have been true at 2 Ginger’s launch, it isn’t any more and needs to be updated on the bottle. 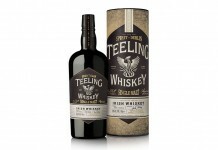 I don’t think there’s anything wrong with trying to bring an Irish whiskey to market that will appeal to women, but it’s got to be done from the inside of the bottle out. With 2 Gingers, we have a mediocre spirit that’s clearly too young, put in a pretty package, with a nice story behind it. While that kind of marketing may have worked in the past, imbibers are now too savvy and too connected for it to sustain. A product like this should be backed by the quality that Kilbeggan Distilling Co. is known for, and which they are more than capable of delivering.